January 28, 2019 Christine WeberLeave a Comment on Hello, Valentine! HD Soap has something for everyone this Valentine’s Day! Everyone deserves something lovely this Valentine’s, and you can find special gifts for everyone at HD Soap. 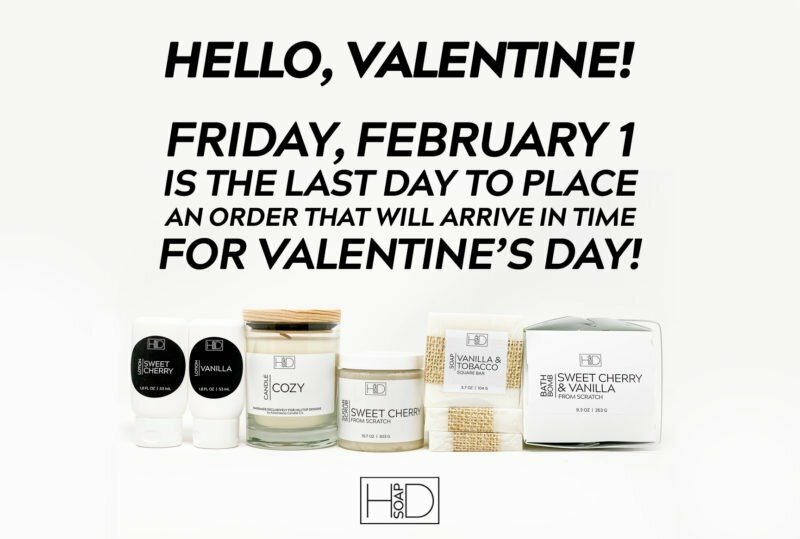 If you want to receive your goodies in time for the holiday, be sure to place your orders by Friday, February 1 at 11:59 PM Eastern! If you’re not sure what your valentine would like, consider signing them up for our VIP Soap Club: if you pay for a 4-month VIP membership with shipping, you’ll receive one month of shipping costs FOR FREE! For more information about joining the club, click here! Previous Post Previous post: New Year, New Releases! Next Post Next post: February New Releases: Who Needs Coffee?! November New Releases: Minter Is Here!